China's freight market remains a market without a dominant player but lack of efficiency. Empty miles account for about 40-30% of all trips made by commercial trucks globally. 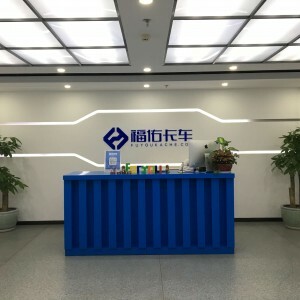 Founded in March 2015, ForU Trucking (福佑卡车) connects logistics companies with third-party transportation service providers. It fetched USD 170 million in its latest series D funding from Matrix Partners China and Bank Of China Group Investment Ltd. With this round, the total investment raised by ForU Trucking to date is USD 255 million. More than 80% of goods are delivered via roads in China whose logistics sector was worth USD 1.7 trillion in 2017, according to data collected by Armstrong & associates Inc. Trucking, an estimated CNY 5 trillion yuan (USD 753 billion) industry in China, is crowded with a stampede of players, and also mergers, acquisitions and investments. Chinese two digital brokerage rivals Yunmanman and Huochebang’s competition ended and they merged into Manbang group in November 2017, which is now valued at around USD 6 billion. China's freight market remains a market without a dominant player but lack of efficiency. Empty miles account for about 40-30% of all trips made by commercial trucks globally. This translates to fuel waste, non-productive emissions, wasted driver hours, inflated operational costs as well as unnecessary road congestion. The market calls for a Uber for Truck model to solve the problem of empty miles caused by inherent opacity and slowness of the traditional road-freight brokerage process. Manbang Group is a representative company. Some may category ForU Trucking into the same part as Manbang, but they are actually operating differently. Manbang’s main service is matching truckers with shippers for free, and the company struggled to find out who they can charge in what fees and ended up with no charge for drivers. Manbang connect orders traffic pool generated by a large amount of shippers and drivers, relying on the scale to survive. No wonder why the company claimed the platform has signed up to 70% of trucks running on arterial roads and 80% of logistics firms in the country. 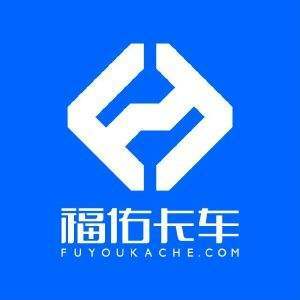 After the mergers, Yunmanman is in charge of the information platform to be the best broker while Huochebang emphasizes on capacity and its own truck fleet, for instance, Manbang acquired Zhi Hong Logistics (志鸿物流) in May 2018. Credit issue and serving capacity are utmost important for the company’s growth. China has an estimated seven million trucks. Traditionally, those truckers contracted for loads at logistics centers near big cities, camping out in motels for days while they made the rounds of shipping agents, according to Wall Street Journal. ForU Trucking serves as a logistics information provider connecting 3PL and shipping agents. Third-Party Logistics (3PL, referring to A person who solely receives, holds, or otherwise transports a consumer product in the ordinary course of business but who does not take title to the product.) Revenues of 3PL in China reached USD 180.3 billion in 2017. It is noticeable that the company maintained shipping agents on its platform for a long time, a rare way in the industry. From the very first beginning, ForU Trucking acquires a large amount of drivers resource relying on those agents because the company was a newcomer when it founded. As many as 200 firms are battling at one point, according to Manbang. Uber for Truck is kind of rife at that time in China. Relying on natural driver resource agents bringing on, the company build upon its own resource pool. In 2018, the company revolutionizes its relationship with agents as skilled agents preferred to allocate fleets resource rather than solely charge transaction fees based on information asymmetry. As the carrier, ForU Trucking can charge for a commission fee or what they called as price gap by gathering different orders, placing them into the suitable trucks and guaranteeing to 3PL that the cargo shall be delivered on time, while Manbang more doing matching business. ForU Trucking is also exploring to make more money by reducing empty miles rates, which is called as a premium price. Both Manbang and ForU Trucking is charging fees in ancillary businesses such as loans to truckers, discounted diesel purchases and electronic wallets for toll payments. Thanks to preferential policies for warehouse in some certain districts in China, ForU Trucking can get tax benefits from governments, which generates some revenues. The company also offer truck drivers the right to rent trucks and even rent consignment, which means drivers can get the trucks by renting them for several years, normally for three years. Transaction volume of ForU Trucking reached more than CNY 4 billion (USD 600 million), and the company has signed up to 300,000 truck drivers and 26,000 agents in 2017. With the average amount of orders weekly reached 20,000 units in 2018, the company is leveraging machine learning and operations optimization into every aspect of logistics from inquiry, offer, settling price, scheduling, transportation and payment, which is called as Ling Ji (灵机, refers to smart in Chinese) AI by the company. ForU Trucking provides long-distance truck logistics services to enterprises, individuals, and large third-party logistics companies.